Today is the first day that I’ve been able to get down to the allotment and not drown. So whilst Jet and Elizabeth were sensible and went to watch a film, I went to see what damage the wind and rain had caused over the winter. At first glance, it was pretty bad. 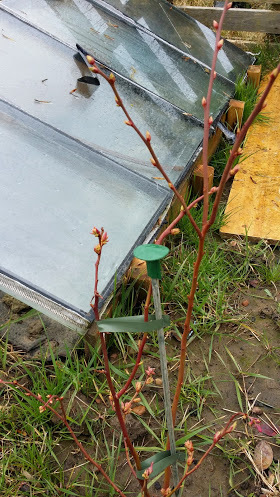 The wind had taken the felt off the shed roof, the fence was falling down, and the cold frame I’d constructed last year had come apart. 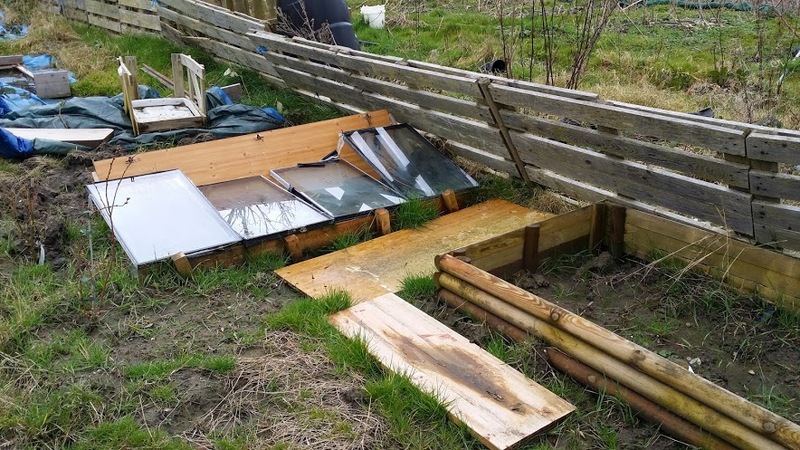 However, all of this was rectified within an hour, with a new felt roof, repositioning of the fence and the cold frame just needed a helping hammer. The even better news is that the raised beds are still standing, and now ready for the compost to go in. The rain has been quite destructive though. 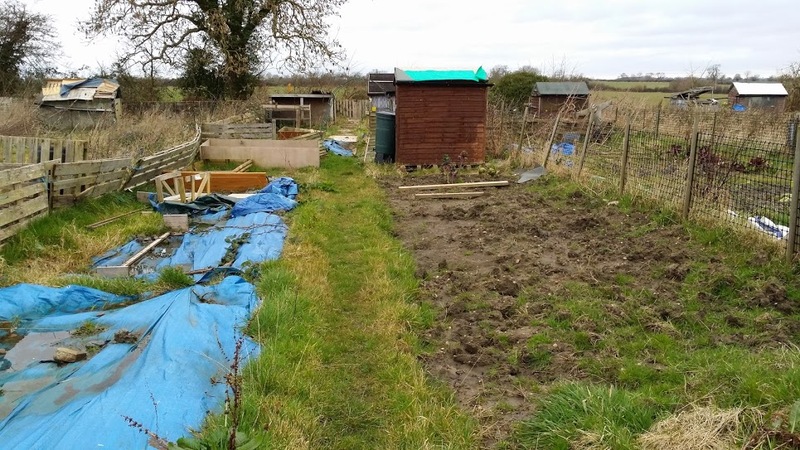 Most of the allotment has been under water, you can see how much the soil has compacted and you can also see small air bubbles where the air has tried to escape. The onions I put in the ground in November haven’t made it and the sprouts didn’t really get past sprouting stage. On the bright side, there aren’t so many weeds as I’d feared, and as soon as the water goes I can get to start on aerating the soil and then planting. 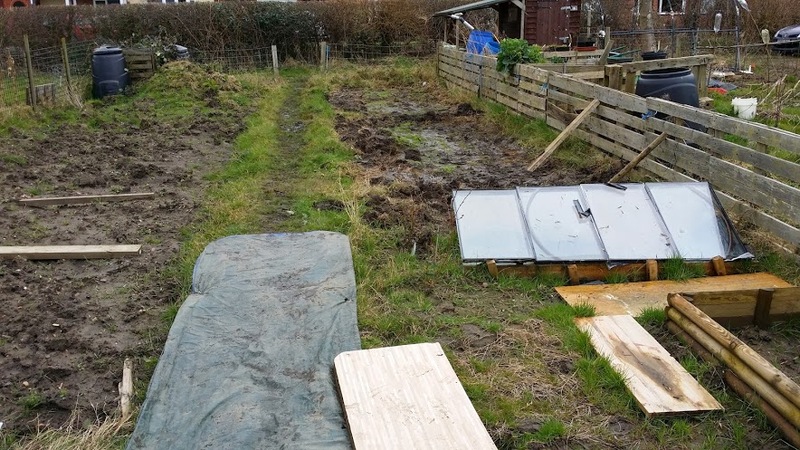 The huge amount of water has also helped to try and rot down all of the weeds that were under the groundsheets that I put down when I took on the allotment. There was very little green under there, only a little bit between the two sheets and a funky curtain of grass over the top of one of them. I’ve taken the sheets off, cleared out the brambles and it means I now have a huge space to plant in this year. This is what the allotment looks like now, I just need to sort out what I’m going to plant!